One Enquiry and contacts ALL suppliers! Mercedes-Benz W212 is the fourth generation of E-class passenger cars of the German brand Mercedes-Benz, presented at the 2009 Detroit Auto Show. The appearance of the model was worked out on the concept car Mercedes-Benz Concept FASCINATION, introduced at the Paris Motor Show in 2008. Sales began in March 2009. 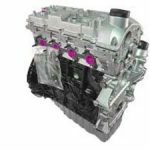 The vehicle included a lot of new technical solutions and safety technologies, including systems for detecting driver fatigue, warnings about leaving the lane, as well as technology for recognizing road signs. In April 2009, a 5-seater armored version of the car (class VR4) called E-Guard went on sale. In the summer, the high-performance version of the E63 AMG was introduced, and in December, the W212 car line was equipped with an optional 4MATIC 4th generation all-wheel-drive system and a versatile wagon (factory index S212 ) and a coupe ( C207 ). In 2013, the car underwent a facelift, which gave it a more modern and athletic form. The front part of the body has received an entirely new look: separate front optics, leading its tradition since 1995, was merged into a monoblock; updated design of the hood and front bumper. For the first time for the E-class, a radiator grille was installed in the form of a branded three-beam star (in the line of performance Elegance ). The back of the body has received an update of the lamps and the bumper. 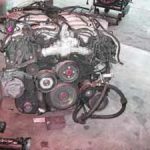 Modifications have also undergone in a range of engines. In June 2013, the E63 AMG model in the station wagon went on sale. 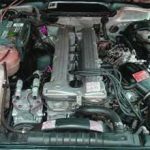 At the time of the start of sales of the Mercedes-Benz W212 car, the engine range consisted of diesel E200 CDI (100 kW / 136 hp. ), E220 CDI (125 kW / 170 hp. ), E250 CDI (150 kW / 204 l. p.), E350 CDI (170 kW / 231 hp. ), E350 BlueTEC (155 kW / 211 hp.) 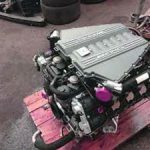 and petrol E200 CGI (135 kW / 184 hp. ), E250 CGI (150 kW / 204 hp, E350 CGI (215 kW / 292 hp), E500 (285 kW / 388 hp). The engine model E63 AMG modified by the division of Mercedes-AMG produced a power of 386 kW / 525 l. with. 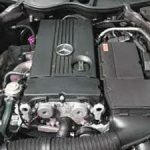 New high-tech inline four-cylinder 2.1-liter diesel engine OM651 with double sequential supercharging, pressure in the line 2000 bar (instead of the usual 400) and dual flywheel for vibration damping was installed on three versions of the E-class: E200 CDI, E220 CDI, and E250 CDI. The only diesel engine V-shaped configuration (4.0 V8 abolished) was the 3.0-liter V6 E350 BlueEFFICIENCY, generating power in 231 liters and 540 N·m of torque (while the motor has a start-stop mode and is equipped with an energy-saving generator, fuel pump, air conditioning compressor, and power steering). In addition, the lineup included new CGI engines with direct injection. A set of measures called Blue EFFICIENCY is aimed at reducing the drag of the Mercedes-Benz W212. 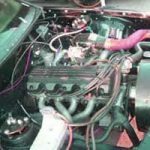 It includes airtight joints between the hood and headlights, an optimized shape of the rims, and even active louvers in front of the radiator, changing the air supply to the engine compartment. 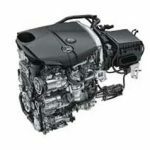 All the tricks of Mercedes-Benz in the field of Blue Efficiency and engine refinement led to the fact that the engines consume up to 23% less fuel compared to their predecessors. Since March 2011, a natural gas powered car has become available in the German market. E200 NGT (from the English. Natural Gas Technology ) allows the owner to fill the car with not only gasoline but also gas. 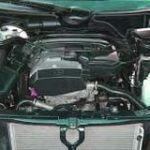 The vehicle is equipped with a 1.8-liter inline four-cylinder engine. 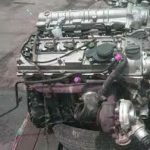 To adapt the engine gas operation, the fuel system was upgraded. 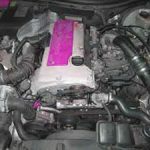 The gas reducer was placed on the engine and gas injectors were added. As a result, switching from gasoline to gas, even when driving, is hardly felt. 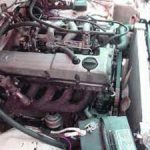 The engine when working on any fuel has a capacity of 163 liters and aggregated with a 5-speed automatic gearbox, bringing to 100 km / h the car accelerates in 10.4 seconds and has a maximum speed of 224 km / h. Fuel consumption when working on gasoline is 8.1 l / 100 km, and when working on gas – 5.5 kg / 100 km. 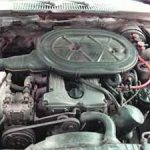 The car is equipped with four gas cylinders with a total volume of 120 liters, located in the rear seats and on the floor. With fully fueled tanks, you can drive up to 730 km on gasoline and up to 360 km on gas. After a restyling in 2013, the car received a replenishment of the model range of engines. 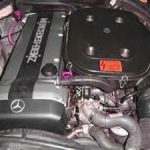 A biturbo six-cylinder power unit was installed on the E400 petrol engine, which, with a volume of 3 liters, is capable of delivering 333 horsepower. As a result, the acceleration rate from 0 to 100 km / h was 5.3 seconds. The E300 BlueTEC Hybrid is equipped with a hybrid diesel 2.1-liter unit (recoil – 204 hp. Pp.) And a 27-horsepower electric motor. The declared average fuel consumption is 4.1 liters per 100 kilometers. Modifications have also undergone E63 AMG. The power of its 5.5-liter unit increased to 557 liters, and torque rose to 720 N·m. 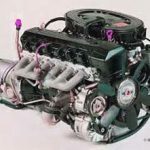 I am looking for W212 1800 E200 CGI engine type m271.860 EVO engine .